IPT’s worldwide influence as a buyer, seller and owner provides customers with timely access to global solutions that satisfy their unique local challenges. This distinctive presence enables IPT to supply power generation equipment and accessories from a wide assortment of manufacturers and exclusive delivery channels specific to the needs of numerous vertical markets. Employing a distribution model strategically conceived to maximize channel capabilities and ease access to equipment, IPT houses equipment both domestically and internationally at owned sites, collocations, and independent facilities. This model ensures a diverse product inventory, specific to customer needs, budgetary constraints, and that is readily available and accessible in a timely manner. Every business and vertical market faces a critical need for power. IPT recognizes this fact and offers companies and government entities, in every industry, a single source for their power needs. All industrial operations, both large and small, possess a requirement for power generation. 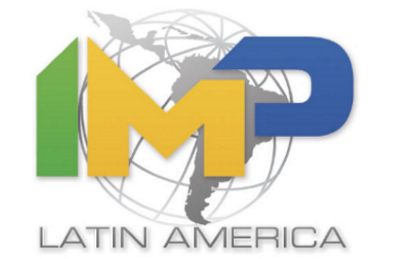 The necessity for power, in particular the need for power generation in emerging markets like Latin America, is the driving force behind IPT's global focus. Recognizing this fact, and the global scale it entails, IPT offers solutions for every industry, but with a targeted focus on the Back-Up Power, Marine, Mining and Oil & Gas industries that shape and influence the global market. Back-Up Power, also known as emergency power, is an issue that affects every enterprise for companies operating mission-critical applications that cannot afford an outage such as banks, data centers, hospitals, and supermarkets to individual stores and shops where continual power is a necessity. IPT supplies the marine industry with engines for use in marine environments, regardless the application. Generator sets and engines are used by marine operations for drilling and power operations as well as for marine vessels including container vessels, dredgers, supply vessels, pleasure craft, tugs, towboats, and fishing vessel. IPT sources equipment directly to mining companies, reclamation operations, and equipment suppliers involved in Placer, Hydraulic, Hard Rock, and Open Pit mining. Equipment provided by IPT powers all components of mining extraction efforts of materials from aluminum to zinc, and everything in between. IPT's equipment powers all aspects of mining from the operations to remove ore to the power of other equipment, living quarters, and ancillary products. IPT provides power generation sets and individual engines to the Oil & Gas industry's Upstream and Downstream disciplines. The vertical markets serviced by power equipment supplied by IPT include power exploration and development, drilling and production, processing, and unconventional resource development in both onshore and offshore applications.